Fans of great beer in Halifax are no stranger to the name Stillwell. Since 2013 the bar has been pouring the best in local beer, bringing in tasty treats from other parts of the country and beyond, pioneering the modern beer garden concept in HRM, and putting on events that have spoiled our little city for world-class beer. Throughout that time they’ve teamed with local breweries for collaborations and contract brews under the Stillwell brand, including several mixed fermentation beers that have showcased the tastes and interests of Christopher Reynolds, one of the three primary owners of the bar. Back in spring of this year word got out that Chris had decided to take another leap of faith and start Stillwell Brewing in the spirit of some of his own personal favorite breweries. Although we’ve already seen the release of Stilly Pils, a hoppy, rugged and eminently drinkable brew that was a highlight of the late summer season at the Stillwell Beer Garden, we are quickly approaching the first bottle releases from the brewery, the culmination of many months of fermenting, aging and blending, bottling, and aging some more. We caught up with Chris to find out more about who and what his inspirations are, why he (finally!) decided to start the brewery, and what we’re likely to see from Stillwell Brewing in the coming weeks, months and years. Can you tell us a little bit about yourself? Who is the team involved in your brewery? The brewery is mainly a project of mine (Chris), borne out of a desire to create the sorts of beers that I a) really love to drink and b) aren’t available locally. Namely, mixed-fermented, bone-dry beers. De La Senne, Oxbow, Jester King, etc. I am the main brewer, recipe maker, yeast steward and squeegee operator. I made the first 10 batches with brewer Kyle Jeppesen, but unfortunately he’s had to take a job abroad, kind of an offer he couldn’t refuse. He was very bummed leave SBC, but given the experimental nature of the brewery, it was not (and may never be) in a position to pay anyone a salary, myself included. Nikki Lockington, my lady, is also a daily contributor to the brewery. She helps me to plan beers and label designs, and takes care of a lot of logistics in terms of materials, and (eventually) sales. I would say that the staff at Stillwell are officially and unofficially involved, too. Sam Fraser made our logo (from her tap wall handwriting, a ubiquitous feature of the bar), and Graeme, our chef, made a joke suggestion for a beer, which will be one of our first releases (“Sport”). Everyone kind of weighs in and offers support and feedback. Being lucky enough to drink great stuff around people passionate about great stuff. Bar Volo was a real influence, as were a lot of the great beer books out there (Beaumont, Pashley, etc. ), and finally and most importantly, traveling. We opened Stillwell in 2013 and beer has been my full time life ever since. What made you decide to take the step of opening a brewery? I’ve always enjoyed making beer. Homebrewing, as you would probably agree, is a wonderfully meditative process, and is something that makes me use a different part of my brain (and body – it is a workout). Personally, I find I’m happiest when I’m making or creating something, and unfortunately making bars and restaurants all the time, though I’ve certainly tried, is incredibly difficult and risky. Brewing a beer, as risky and big a process as it is at the commercial level, allows me a creative outlet. For several years, brewing my beers in other people’s breweries fully scratched the itch, but eventually I found that the beers suffered a little by not being fully in my control (and, mostly, on my timeline). I always said I would never open a brewery, but listening to an episode of The Sour Hour featuring Troy Casey of Colorado’s Casey Brewing and Blending, I realized that his set-up is actually attainable and manageable by me. Basically, a lot of oak, bottles and time, and some years of experience with yeasts and recipes, and it finally clicked that I could – and should – take the leap. In business and in life, if something is a foregone conclusion, like I just know it will work, I have to listen to that and take the leap. What is the ethos of the brewery? I’m looking for the brewery to be just like the bar, i.e., a “workshop” that will hopefully sustain us long enough to realize some goals in beer. I want to produce beers of character that are super drinkable, but immediately special. I’m very inspired by the family-sized breweries of Belgium, places like Cantillon and De Dolle. I love that they’re run by a small handful of family and friends, they make what they like, sell what they can, and aren’t bound by a group of stakeholders, production schedules and crazy equipment loans looming over their heads. When I hear someone is opening a brewery, I want to know that they have something to say with their beer, and I believe that I and we do, in this case. I would say that we’re technically “open” as of April, i.e., we’ve been brewing in our own space since then. We released Stilly Pils in August, which went great, but I was only able to get around to brewing a new batch in mid-September, which, of course, won’t be ready for months. On November 18 and 19 we will finally have a bottle release at the bar and brewery, and once we have bottles out, with the promise of more to follow, I think it’ll feel a little more real. Stilly Pils is something we want to make over the long haul, with tweaks along the way. A house beer for our bar and beergarden, we’ll try to have it on as much as possible. It’s my quest to make the ultimate pilsner, which, of course, can never end. 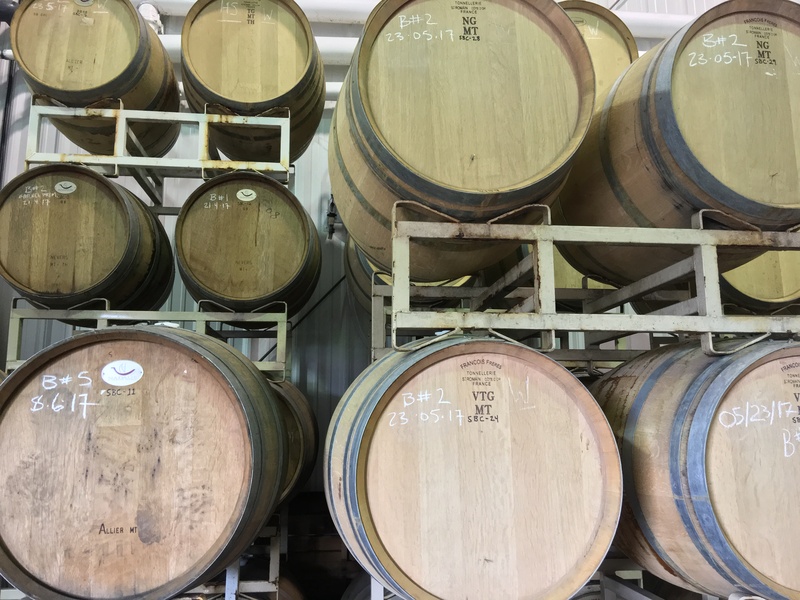 Most of the rest of our beers are and will be blends of barrel aged and/or barrel fermented farmhouse ales. We have bitter things, sours things, funky things, pale things, darker things, complex things, clean things, etc., in various stages of fermentation, and from those we’re blending and bottling. The very first bottle release will be Stillwell Four, this year’s beer to celebrate the birthday of the bar. It’s a tart and effervescent farmhouse ale aged in a single sauvignon blanc barrel. We’ll be pouring it at our 4th Birthday Party before selling bottles the next day from our warehouse location. Another of the earlier releases is called Sport, a tart barrel fermented farmhouse ale with sea salt and lime zest added. It’s margarita, gatorade and sour beer all in one, with notes of coconut and vanilla, and is bright as all get-out, with a big, rocky, long lasting head. It’s awesome and almost ready. Possibly released on the same day will be Gosh, a tart red wine barrel aged farmhouse ale heavily dry-hopped with Mosaic. There’s a lovely fruit-meets-dankness of the hops on the nose, with tons of fruit character also showing through from the fermentation. The beer is very sparkly and, near the finish, the grapey, red wine character starts to show itself, and really comes out in the tannic, grippy finish. You immediately want another sip. In mid-September I brewed a beer which, other than Stilly Pils, might be our first beer that won’t see oak. It’s my quest for Taras Boulba, or even young Stillwell 3. Hops and restrained fermentation character. It may see kegs, but I’m not sure yet. Everything is a one-off until it’s not! What are your plans for distribution (aka, how can people try your beer)? A lot of this will be decided by the reception. If the beers are good and people buy them, then we’ll have a better idea of how this could look. I’ll say we’re making pretty niche beers and we’re not planning to get into the licensee keg game at all. We will likely have to export to sell all of our bottles, and we’ve been speaking to some agents in provinces abroad. We’re predominantly packaging bottles and most kegs will be just for Stillwell and the Beergarden, locally. We will never do growlers. Bottles will be available via our bottle release days (i.e., out of the brewery on certain afternoons), and very possibly available to-go from Stillwell (working on that licensing). We might look at figuring out a separate-from-Stillwell tasting room in a year or three, if that ever makes sense. I have some ideas! We don’t, but there are some restaurants in the city who I think may carry our beers, mostly pals. We won’t really be on tap anywhere. Have you had any assistance from other breweries or people along the way? 100%. I owe a debt to North Brewing for hosting a whole slew of contract and collab brews, to Boxing Rock, Big Spruce & Bar Volo for making collabs with me in the early days, and to Propeller for renting me the space on Gottingen to work. Greg Nash from Unfiltered lent me some stuff yesterday. It’s true that we have a very collaborative and friendly industry. In terms of knowledge, there have been many brewers, especially in the U.S. and Belgium who’ve been willing to have a chat and throw me an opinion or two. I’d love to see us have a solid reputation for great farmhouse-style beer. We kind of have that already, so I guess I just hope we don’t frig that up! I’d like to create a job or two. I’d like to attend some cool festivals. I’d like to be happy drinking our beer! What type of system are you brewing on, and what is your expected output? 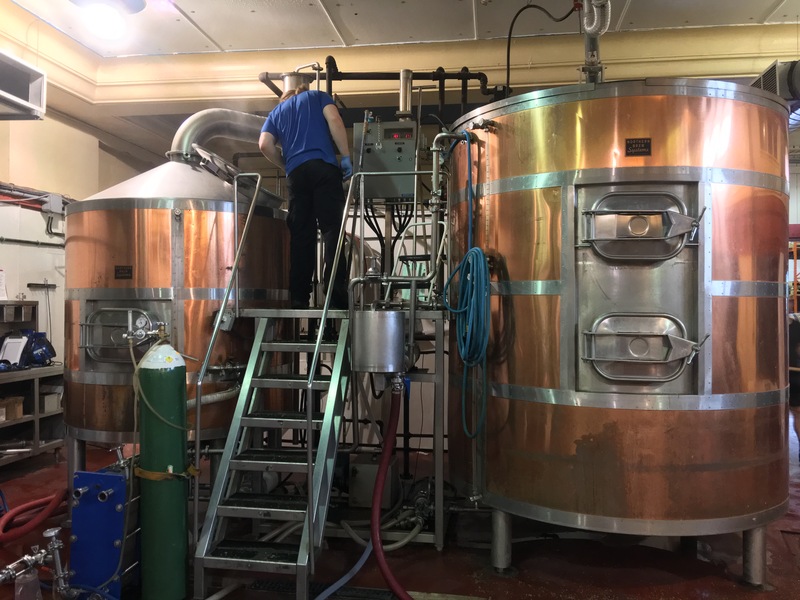 We’re brewing on a very old, very manual 15bbl, two-vessel steam-powered brewhouse. The same kit Propeller brews their one-offs on. We have no expectation of yearly or monthly output. Sure – I first started with kits in Toronto in 2010ish, then moved to Halifax and started really playing with mixed fermentations. I won something in a Brewnosers home brew competition, which was a real honour. I pretty quickly moved from homebrewing to collab brewing commercially — having a bar to buy the beer is pretty helpful when convincing a brewery to do a collab, and luckily they were all great. Definitely learned lots doing this — anytime one co-brews either at home or in a brewery one learns something, of course. Do you have a favorite beer style, beer, or brewery whose beers you particularly enjoy drinking? I like dry beers for the most part. I like hoppy beers and bitter beers. I like drinkability in beer most. Give me De La Senne Taras Boulba, Birrificio Italiano Tipopils and Mahr’s Brau Ungespundet and I’m a very happy man. Granite Ringwood. A good cask bitter or mild. A vintage barleywine. A geuze – any will do. Saisons from the classics to Quebec. Yeast first, then hops. I like Noble hops primarily, or their hybrid descendants. Saison & Pils. How can folks keep up to date with the latest news and brews? 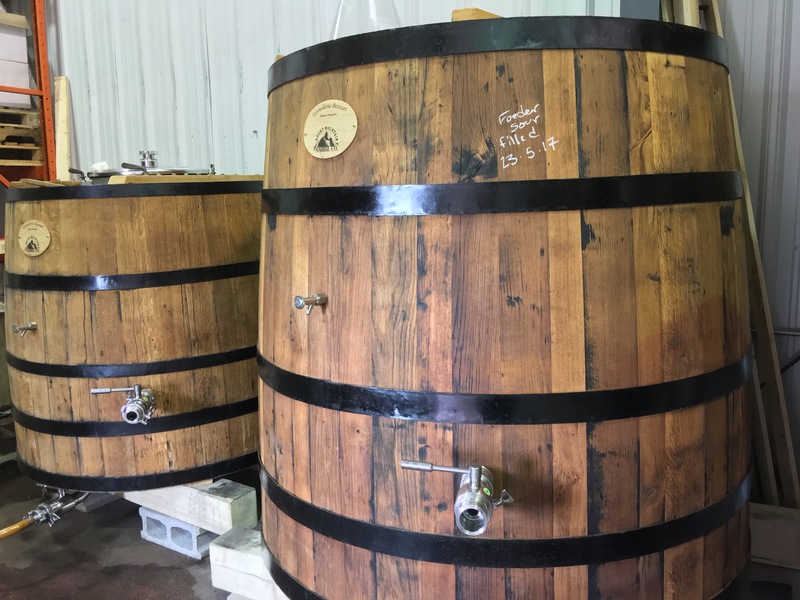 A big thanks to Chris for taking the time to answer our many questions and hopefully give the uninitiated a good idea of what he’s got planned for Stillwell Brewing. If you like the sounds of what you read here, you should probably mark your calendar for later this month when the first bottled beer, Stillwell Four, becomes available, first for pours during the Stillwell (bar, not brewery) fourth birthday party on the 18th, and then the next day for retail sales at their warehouse location on Gottingen Street (entrance at the rear parking lot of Propeller Brewing). We’re looking forward to sampling not only this release, but the releases of the others Chris mentioned above, as well as those he hasn’t brewed or even dreamt up yet.